With the Chiesman Center moving to The University of South Dakota, we have their amazing office space in the front of The Garage - Rapid City available for immediate lease! Big windows welcome the sun in the front of the historic motor service building on 4th and St. Joseph Street in downtown Rapid City, right in front of the Trinity Eco Prayer Park. 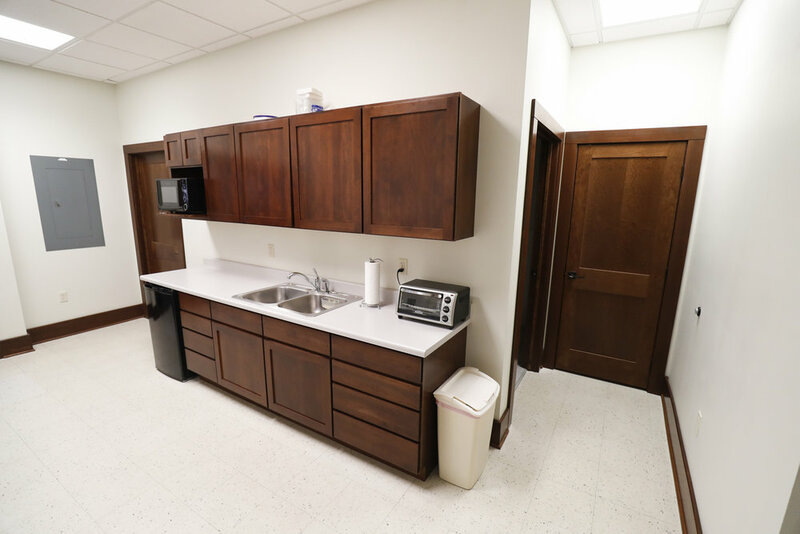 The office suite includes four large offices with original historic floors, lots of light, a workroom for copiers and open office space, a kitchen and two bathrooms. Size is approximately 1350 square feet. Lease includes taxes and utilities. Plus all of the great events that happen in the coworking space. Floor plan can be renovated to suit your needs. Call (605) 593-6186 or email ted@garagerapidcity.com to see the space.